File compression is a process of handling a file (or files) to use less bits than the original representation. Files compression can be either lossy or lossless. Lossless file compression reduces bits by identifying and eliminating statistical redundancy. No information is lost in lossless compression. Lossy compression can reduce bits by removing unnecessary or less important information, or adjust the original files' parameters to make files smaller size. 2Why Do You Need to Compress Videos? • Reduced videos occupy less space on your computer and creates an additional room to add more videos. • Compressed videos are easy and quick to share and transfer through mails. • Smaller sized video files can be easily and quickly uploaded to social networks and video sharing sites. • Lot of video sites have restriction to the size of the file that can be uploaded and thus file compression becomes necessary. • To make your favorite videos fit perfectly on the small screen of your smartphone or tablet, you need to compress its size as large size videos will not play properly. 3What Should You Know before Video Compression? Before you start shrinking your videos, you'd better to know what are the key factors to affect your video size. One video with different formats will have different sizes. Regularly, the smallest video file formsts are WMV, FLV, SWF, MPEG-4 and RealVideo, and MPEG-4 is the most popular as it still delivers good quality videos. MKV and AVI with high quality video always occupy large space. So if you want to keep the original resolution of the video, you can choose convert video between formats to downsize it. The second factor is the length of the video. When anything changes on the video timeline you’re creating, the longer your file is, the larger your video size is. 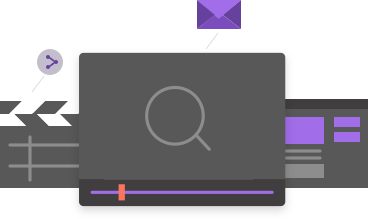 So you can trim the unwanted part of your video to change the video size. Frame rate is how frequent are your key frames. Most of the videos are about 30 frames per second (fps). If you cut the number of frames in half, the video size will be cut in half either. The size of the video file can be decreased by lowering its bitrate. Bitrate size is directly proportional to file size and thus reducing one will reduce the other as well. But here it needs to be understood that too much lowering of the bitrate will reduce the quality as well. Thus reducing bitrate by 20-30% of the original size is a good choice. 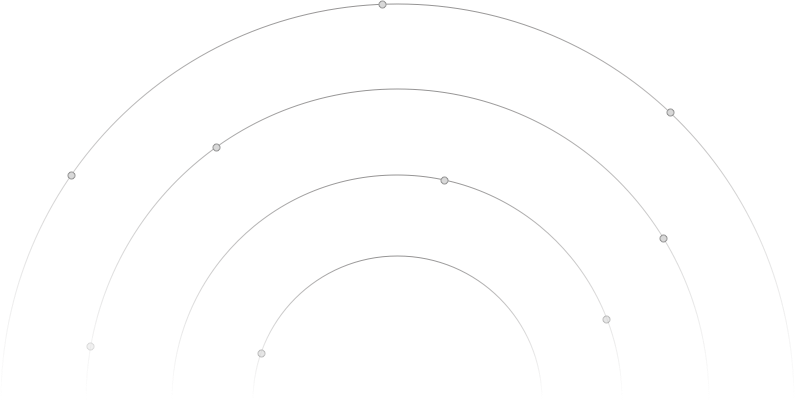 The video resolution determines its size as well as quality. A high-resolution video will have good quality and a larger file size. Thus if you are aiming to reduce file size, reducing the resolution will do the trick. If you have HD videos with a high resolution of 1920 * 1080P, you can reduce it to 1280 X 720P, 640 X 480, 640 X 360 and other resolutions so as to decrease video size. The most commonly and recommended resolution is 640 X 480 as it is compatible with the majority of the mobile devices ( Android, iPhone, and iPad) and various popular sites including Facebook, Vimeo, and YouTube. Large video files can take much space on your computer, moreover, it will be slow to upload and download them. Here are the most effective solutions that can significantly reduce the file size without losing quality online, make video size smaller in different formats like MP4, FLV, WMV and more, and compress iPhone/Android phone videos. 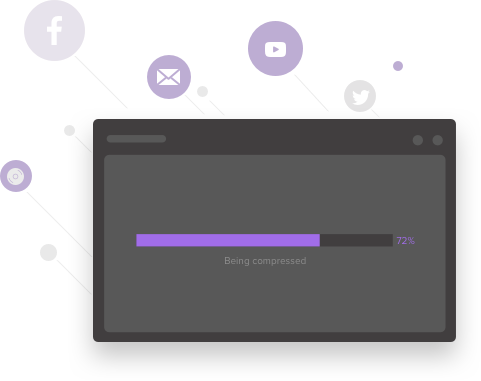 Definitely, with an easy and powerful MP4 compressor like Wondershare UniConverter (originally Wondershare Video Converter Ultimate), you're able to compress MP4 videos in no time with lossless quality and high compatibility (batch compression supported). 1Load MP4 videos to this MP4 compressor. 2Customize video setting to cut down video size. Your iPhone can take HD videos with its excellent iSight camera, which well meet your needs for video quality. Meanwhile, it will take a lot of your limited space. It's not easy to release iPhone space unless you delete the files, right? No, compressing iPhone videos is a good workaround. 1Go to your Play Store and download Video Slimmer. 2Load the video file you want to compress: tap on the + icon to browse to your camera roll and load the video to the compressor. 3Tap on the Slim Now button to compress videos. If you want to find a video size reducer for Android, there are recommended apps for you. If you want to upload your video on the web, like Facebook, Instagram, Vimeo, YouTube etc. 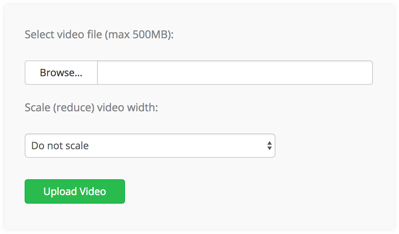 or email the video to your friends, then you can reduce the size of your video firstly. 2Customize video by adjusting parameters in the setting window. 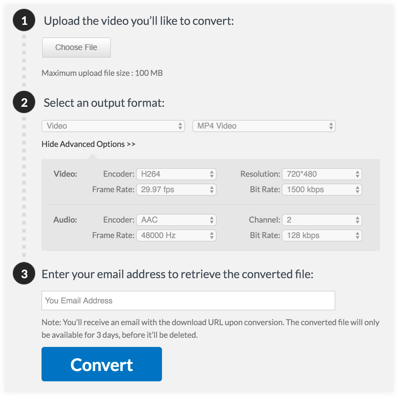 3Start compressing your video to email. There are many video compression programs, no matter on Cloud, Windows, Mac, iOS or Android systems. It's easy for you to find free solutions and paid solutions. As we all know, there are many free online compression tools to reduce video size online. You don't need to install any third party software but a browser. Most importantly, they are free. But they also have some disavantages, if you have regular compression tasks, you'd better use the desktop version instead. • You're limited to compress videos with the network. • You can't reduce videos in batch. • The video size can't be too large. • The compression speed is slow. Online UniConverter (originally Media.io) helps you to compress media files from one format to the other, in a much easier way. Most importantly, it’s free and also supports a variety of file formats. 1Upload the video you’ll compress. 3Click Convert to retrieve the converted file. VideoSmaller is a free service that allows you to reduce video file size online, compress video file size without losing quality. It enables to reduce size of MP4 videos captured with your Android or iPhone. But it may take some time depending on the video length and your bandwidth speed. And the maximum video size is 500 MB, meanwhile, you can only compress video one by one. 1Browse the video you'd like to compress. 2Scale video width from the available options.